Yet, he couldn’t have been expected to turn down a new role with Pakistan and the question now is who fits the bill as a replacement for the genial New Zealander with a bold attacking philosophy. When I spoke to several former Scottish players this week, they suggested a raft of names with the skills and mindset to fill Bradburn’s boots. It’s hard to disagree with the thumbs-up for coaches such as Grange’s John Blain, who has just orchestrated a treble triumph for the Edinburgh side, and Craig Wright, who captained his country with distinction. 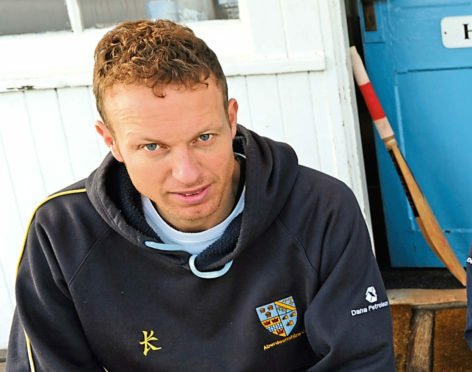 The former courted controversy by walking out on Scotland in the middle of the World Twenty20 in 2009 but he has English county experience, an award-littered cv and a tough-as-teak mentality on and off the pitch. Wright, for his part, was a star with the Saltires, excelled at the ICC Trophy in Ireland in 2005 and knows plenty about the rising stars on the Scottish circuit, despite spending the last two years in Hong Kong. Yet, if Cricket Scotland is looking for a genuine world traveller, they could do worse than contact Neil Macrae, a man whose past encompasses ODI action, success with Aberdeenshire at Mannofield…and several more arcane places. Indeed, after thriving within the Scottish and Highlanders set-up, he stunned many people by taking over the reins at Austria, a nation more closely linked with The Sound of Music than the whack of leather hitting willow. But, unperturbed, he helped propel the part-timers on an upward path and made a sufficiently positive impression that he was offered the opportunity to take over at Jersey, where he has enjoyed considerable success. It might have been a move which saw him swapping the Von Trapps for Bergerac but Macrae is one of life’s beetle-browed characters who leaves no stone unturned in his cricket labours. The problem for any one taking the job is the dearth of opportunities for the Associate team. The Scots might be on the rise but still have depressingly few matches lined up in 2019. Given that situation – which isn’t of their own making – it might be unrealistic to imagine CS will manage to tempt a Dougie Brown back to his homeland, let alone attract a big-name foreign recruit. But, in this case, they probably don’t need to look beyond their own, considering the talent at their disposal. Let’s hope they choose wisely.